This Gluten Free Chocolate Cake recipe is not only gluten free, it’s dairy free. Try it as cupcakes. Hi. It’s Lois at Recipe Idea Shop, telling you about my best gluten free chocolate cake yet! Not only is it gluten free, but it’s almost vegan (it contains eggs). If you want to make it vegan, you can substitute ground flaxseed and water for eggs. I like it best baked as cupcakes, which you can easily frost and freeze for later. I must admit, I didn’t make the Chocolate Frosting vegan or dairy free. I’ll try that next time. I do love my butter. 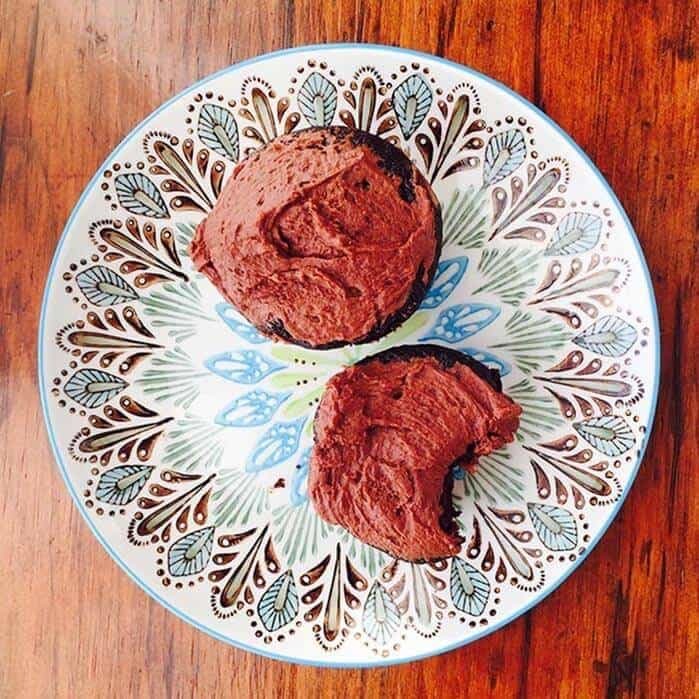 Gluten Free Chocolate Cake (Cupcakes) —the best so far! Moist, delicious and nondairy. I based this recipe on My Favorite Chocolate Cake, and that recipe came from one of those spiral bound cookbooks to which everyone contributes a recipe. 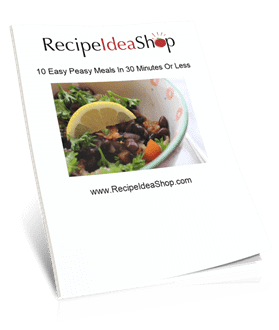 The recipes were collected by the Disabled American Veterans in Waukesha, Wisconsin. Every recipe I have ever made from this cookbook has been to-die-for good. It’s hard not to eat just one of these scrumptious cupcakes. Trust me, you’re gonna wanna eat these cupcakes. You will need gluten free flour for this recipe. I find the best price is on Amazon. This flour is light tasting and you can substitute is cup for cup for wheat flour. Buy it on Amazon. This a good, all purpose flour that has a little heavier texture, similar to Bisquick. 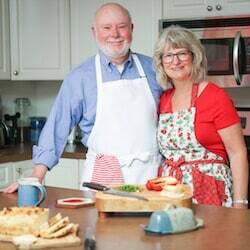 Buy your Gluten Free All Purpose Baking Flour on Amazon. Moist, delicious, so easy to make Gluten Free Chocolate Cake. Gluten free. Dairy free. Soy free. Mix the sugar, eggs, salt, and vanilla. Mix in the coconut oil and coconut milk. Add the flour, cocoa, baking powder, and baking soda and mix well. Boil the water and add to the mixture. 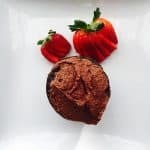 Mix well and pour into two 12-cupcake pans lined with cupcake liners (or 3 greased round cake pans or one 13" x 9" cake pan). 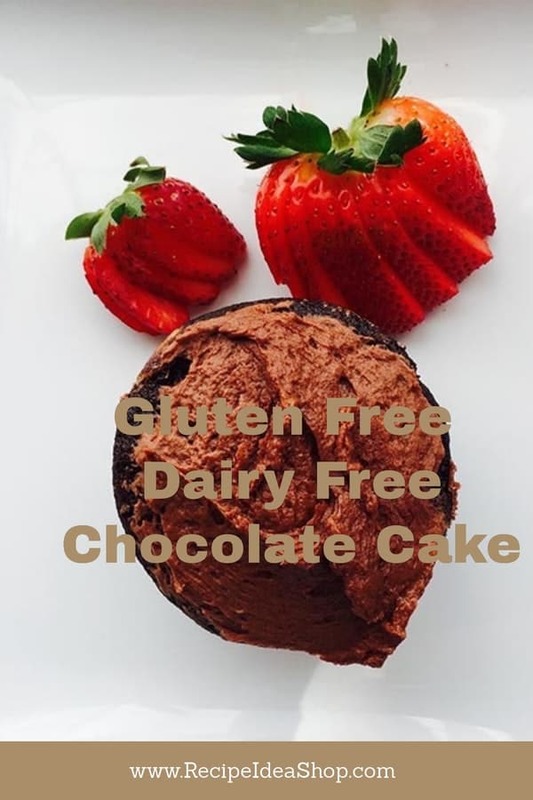 Gluten Free Chocolate Cake (Dairy Free) Nutrition Label. Each serving is one unfrosted cupcake. Gluten Free Chocolate Cake (Dairy Free) with Chocolate Frosting (not dairy free). Each serving is one frosted cupcake.